This level has medium difficulty. 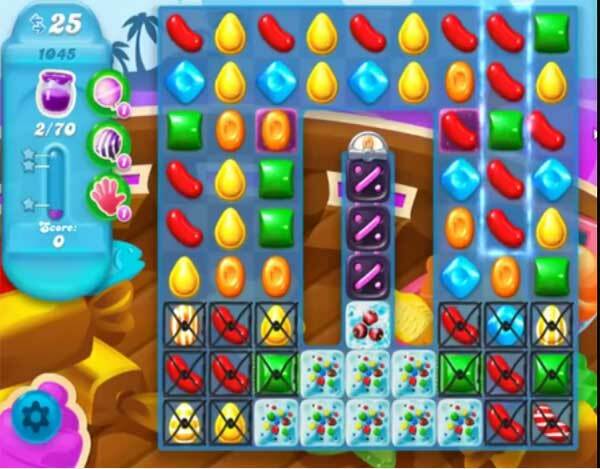 For this level try to play from top part of the board where more candies are available to play and make special candy as you get the chance. Or play with remaining jam to spread them to near candies. I’m soooo DONE with this game!! The real story, the only way you’re going to get this level is to get a sprinkle and color changer together!!! Play from the top?? Please!! I get donk, donk 3 match. 1) I’m sick of these foolish non fun levels you spend days, weeks or months on 2) takes weeks or months to reach challenges 3) I’ve finally smartened up, I’ve got better things to do with my time!! Thanks! !